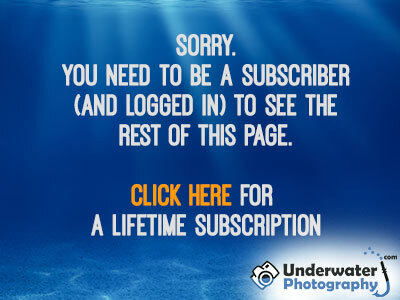 The worst kind of mistake is the recurring one, this is the one that can ruin a whole dive trip. For example, a microscopic piece of dust that you find, only after returning from a dive trip, has been recorded on every single frame! Next >> 10 things to do with a flooded camera!